2017 will see the re-emergence of the Terrazzo style tile through a porcelain reinterpretation. 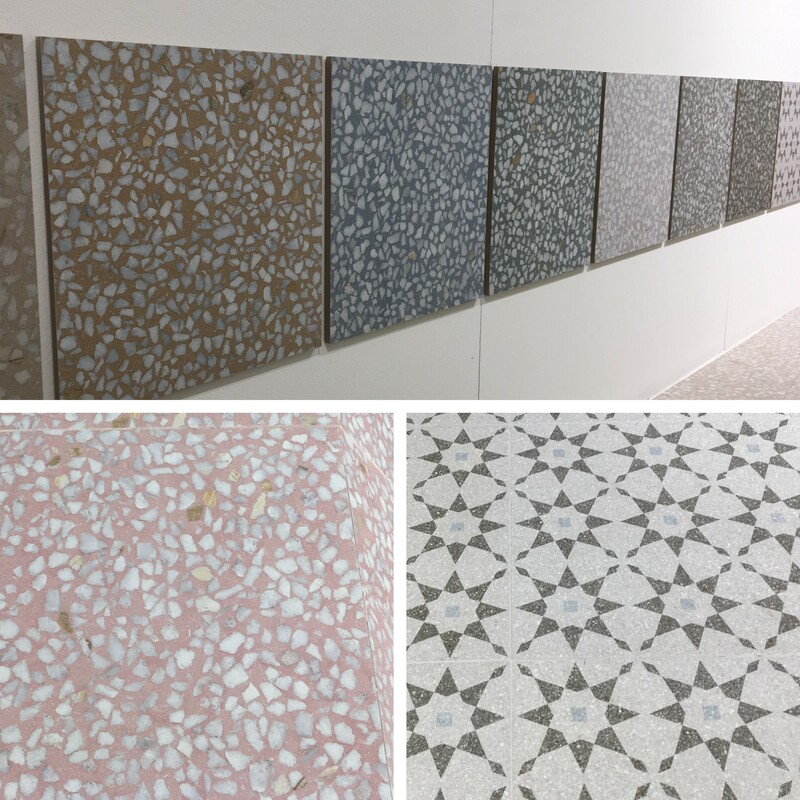 Terrazzo was originally discovered in Europe when Venetian workers needed a use for their discarded marble leftovers which were set into clay, and its versatility offers architects and designers a contemporary floor material that can work for both interior and exterior projects. Although this style dates back to the 16th Century, the infusion of fashionable citrus colours along with the gold trimming of these tiles, brings the tile right up to date. Whether you love it or hate it, this is a flooring trend with a big aesthetic appeal! SAY HELLO TO THE FEATURE WALLS. Hexagons and geometric patterns continue to be right on trend as these tiles explore new colours, sizes and textures . We saw exciting and bold patterns being used in fresh ways to create striking interior designs. The chevron is an emerging tile trend, with variations in tones and shapes, making them perfect for any commercial or residential project and techtile are very excited to be promoting these tiles in 2017! 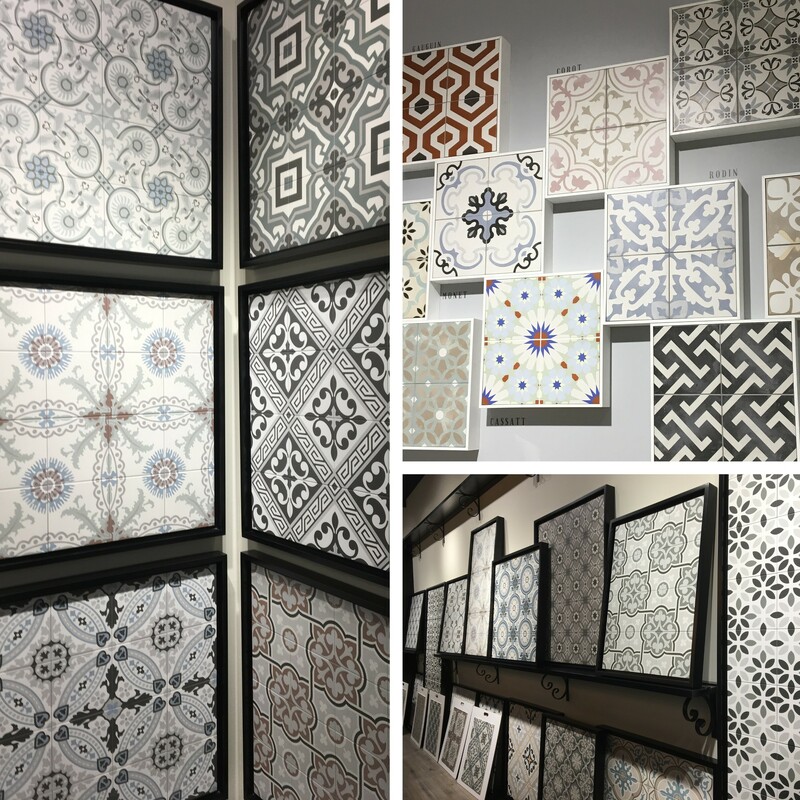 Whether you want to create a high-quality period theme in your home or capture a shabby chic design, encaustic tiles are the way forward! These tiles have been a staple dating back to the Victorian times but 2017 will see them reach peak popularity. 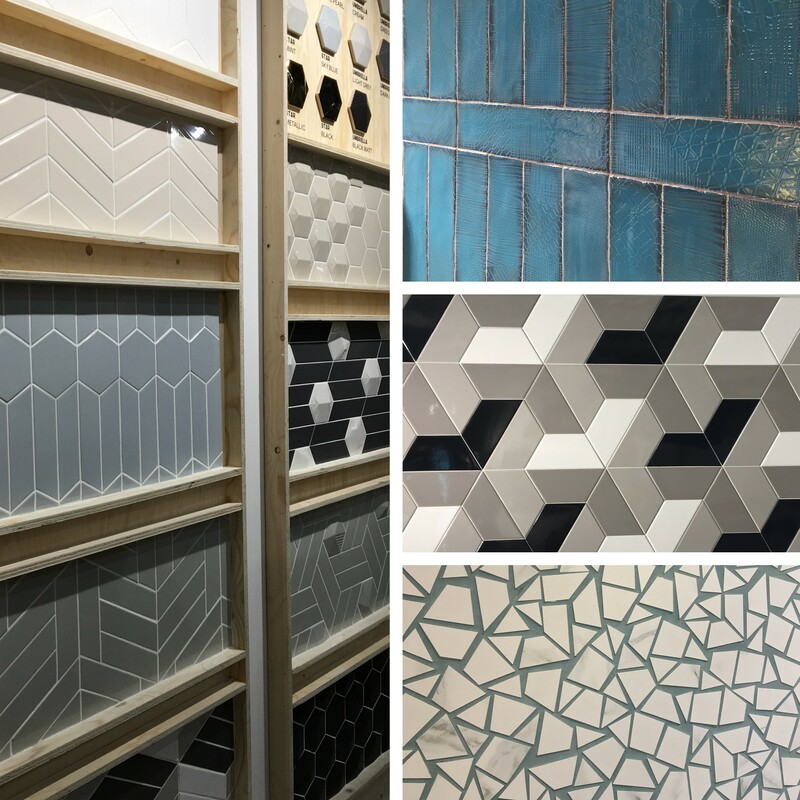 Cevisama showed us a vast array of elegant pattern options to give a vintage personality to your space as well as a splash of colour. ADDING A BIT OF SPARKLE! 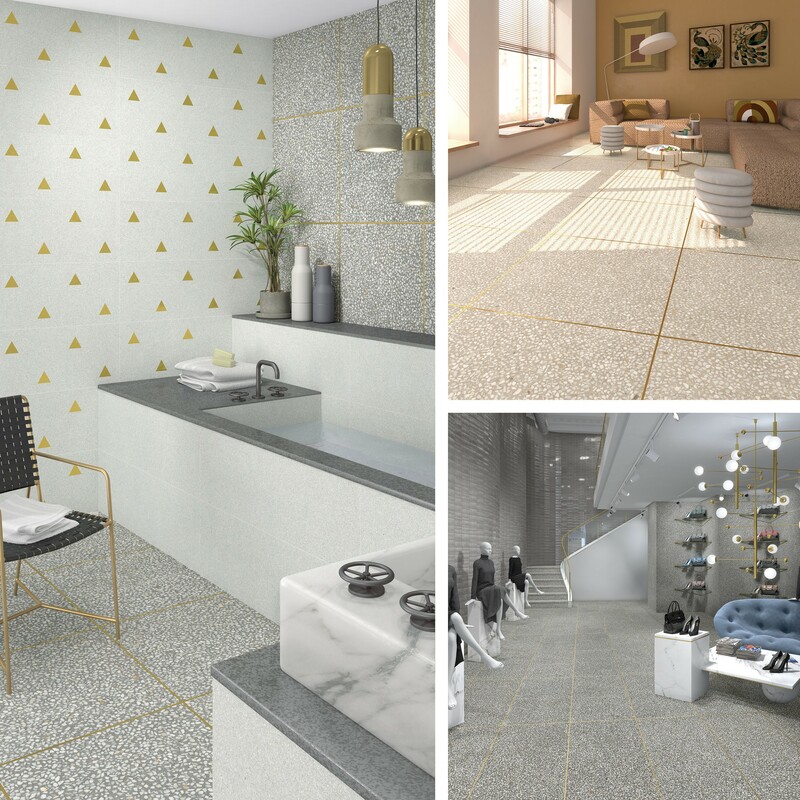 Gold is taking over as one of our favourite metallics and we were very excited to see this colour appearing on stands throughout the Cevisama show, adding a hint of luxury to the tiles coming out this year. Even if a gold tile isn’t for you, there were many more simplistic tiles with gold features, some of which we have brought back to our own studio!